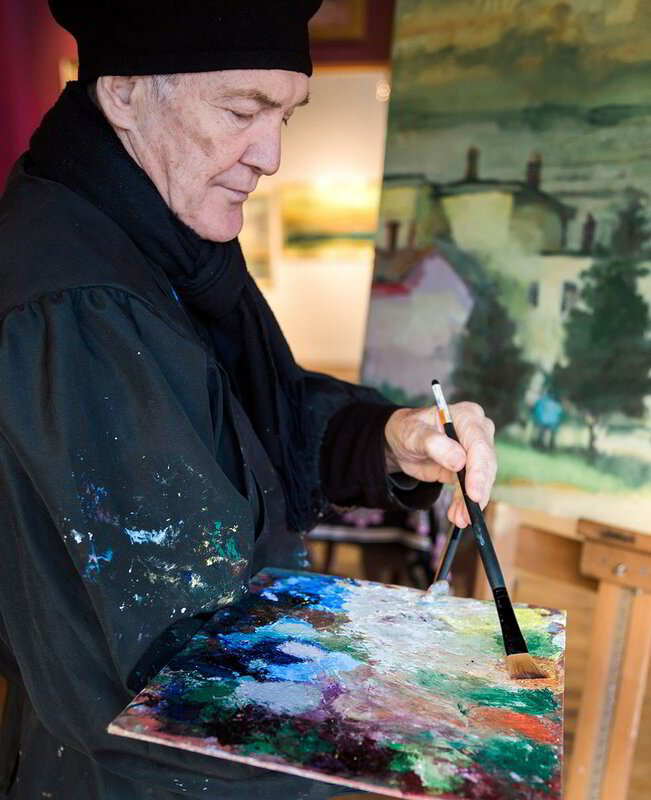 Philip has traveled throughout the world painting and teaching plein air painting. Philip was employed by major commercial studios in Pittsburgh, Detroit and Toronto, Canada. During those years Philip continued his studies of fine art specializing in portraiture, figure, and plein air landscape painting. Salvato has been published in local, national, international articles, and books on the subject of fine art. "Painting with Passion" - North Light Books by Carol Katchen; "Oils Master Class" - Harper Collins by Sally Bulgin. Philip now resides in his spacious studio above 3rd Street Gallery in Carnegie, Pa. Where he is currently undertaking many portrait commissions and working on projects to develop the community of Carnegie into an art center. "I feel as artists, it's our responsibility to inspire humanity. We do this by giving homage and living in the splendor of life. If I could leave anything behind, it would be a statement about the beauty of the world."